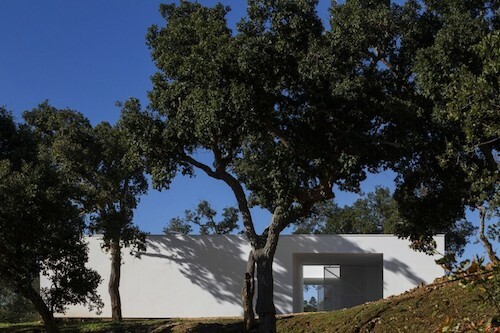 This residence in Quinta Do Carvalheiro is designed by GSMM Architetti in São Francisco da Serra, Portugal. 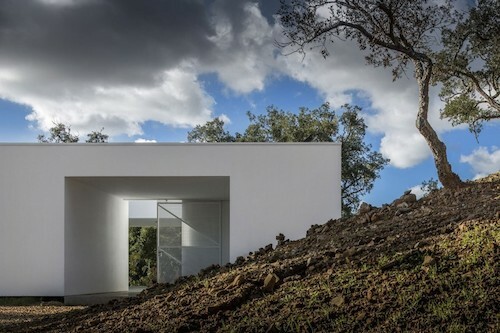 The megalith-like structure has a mysterious hole in the middle that invites investigation. In several sides, there is a similar gap in the simple windowless facades. 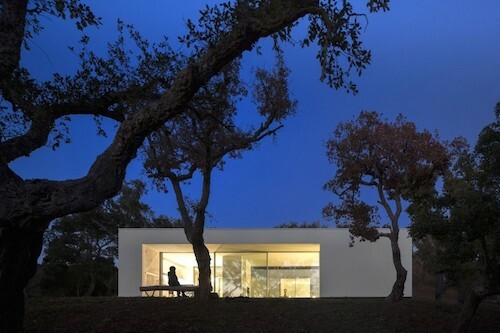 From inside, these gaps serve to focus attention on the surrounding views. The elemental shapes created by these spaces have a gentle sweetness and purity. 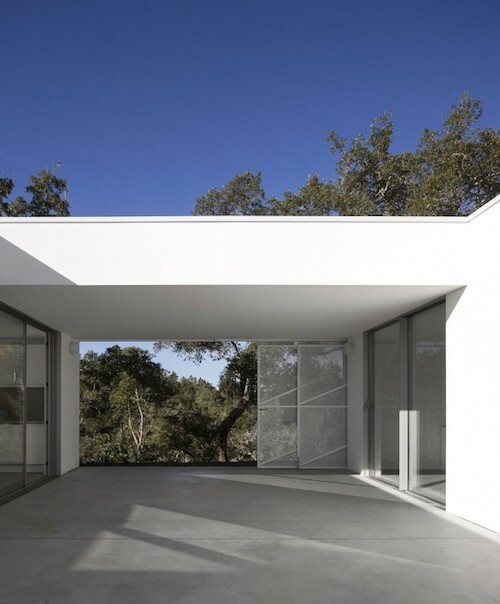 By contrast with the blank exteriors, the interior courtyard space is open and transparent. 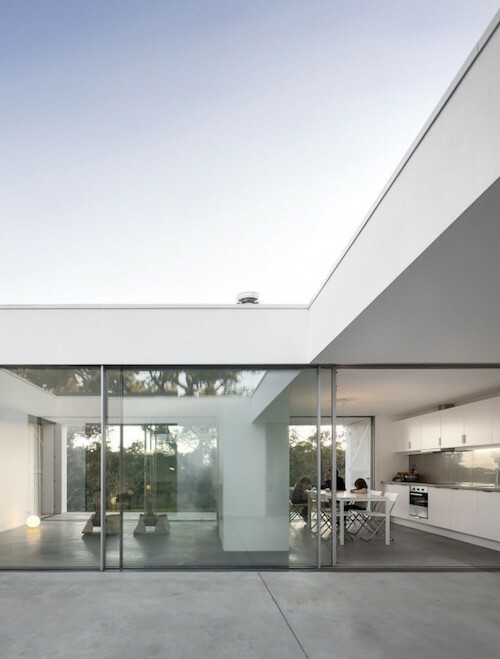 The living spaces are organized in a single floor around the large square patio in its center. In this balmy climate, rooms are open to the sky. The simplest and most invisible of industrial materials are used throughout. 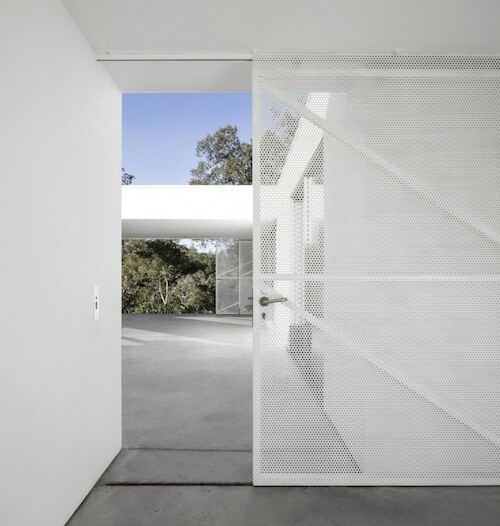 Indoors and out, floors are concrete, and painted wire mesh screens in doorways. 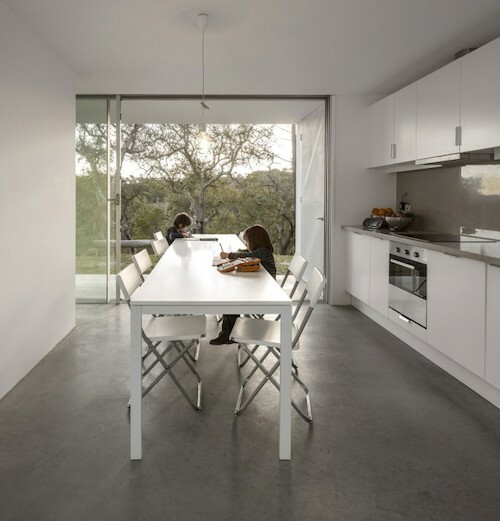 The interiors have a spartan simplicity, and materials chosen that stand up to year round outdoor living. 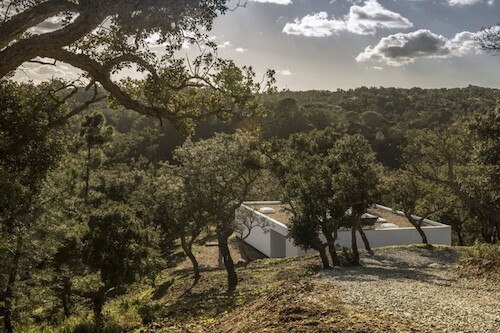 The bold new construction is a surprise set within a forest of cork trees in the Serra de Grandola. 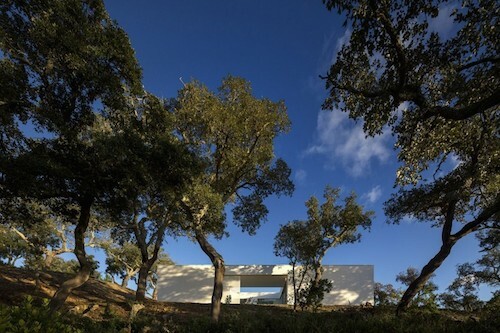 Altogether, it is a home with a minimalist aesthetic that brings a serenity and peace to its pleasant forested spot in Portugal. 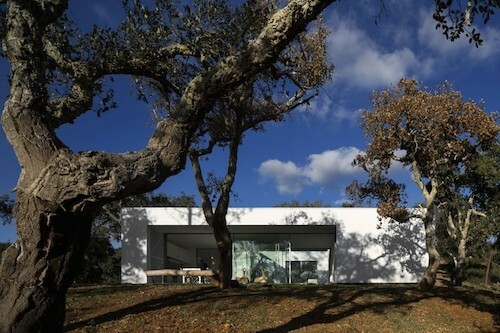 This entry was posted on Monday, February 9th, 2015 by Susan Kraemer and is filed under Architecture. You can follow any responses to this entry through the RSS 2.0 feed. You can leave a comment. So beautiful and modern! It looks so bold surrounded by nature like that.